The U.S. maintains its dominance in global retailing on the 2019 list of the world's largest U.S. retail chains with seven American retail chains making it into the coveted top 10 listing of the largest retailers worldwide, according to the 2019 Global Powers of Retailing report, which is published each year by Deloitte Touche Tohmatsu. Not only is the retail industry one of the largest industries in the U.S., retail chains founded in the States are aggressively expanding their retail operations overseas and are becoming more visible, more prevalent, and more dominant on the global retail stage. 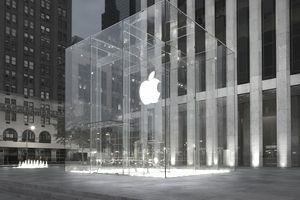 The U.S. companies ranked on the 2019 Global Powers of Retailing list vary somewhat from the annual Fortune 500 list, which is generally focused on publicly traded U.S. retail companies. Included in the 2019 Global Powers of Retailing list are privately held companies, as well as government retail operations. Also, the 2019 Global Powers of Retailing report is based on slightly different timeframes for revenue figures. Overall, what the annual Global Powers report provides is a more comprehensive comparison of retail companies across the globe with broader comparative insight on retailing trends worldwide. While the global ranking of the largest U.S. retail chains usually remains relatively unchanged from year to year, there were some shifts in the rankings of the 2019 World's Largest Retailers on this year's list. None of the most dramatic year-over-year changes for U.S. retailers on the 2019 Global Powers list will probably be surprising to anyone who closely follows the U.S. retail industry. But, the value of the Global Powers list each year is in having an easy reference that reveals how changes in the U.S. retail industry compare to changes in the retail industry in countries around the world. Seven U.S. retail chains have been included in the list’s top 10 with four of the them leading in the top four rankings. Walmart, Costco, and Kroger remained the top three with Walmart leading revenue at $500.3 billion. Amazon jumped two spots to move into fourth place with revenue of $118.6 billion. Global economic trends helped to fuel growth across the globe with several factors supporting revenue growth for retailers. As the 2019 report states, these factors included relatively strong global economic growth, low inflation, low borrowing costs, easy monetary policy in major markets, and recovery in troubled emerging markets. These tailwinds combined with increasing disposable income and greater emphasis on e-commerce helped both public and private companies alike. As such, the global allocation continued to display robust operational activity across geographies. The 2019 report shows 65.6 percent of retailers with foreign operations, 23.6 percent of total 250 revenue from foreign operations, and 10 as the average number of countries where companies have retail operations. As you can see below, Europe and North America dominated with 34.8 percent and 34.0 percent of the list respectively. Europe’s proportion was more broadly dispersed while the U.S. accounted for North America’s majority. The U.S. reported the highest retail company count at 79 out of 250 for 46 percent. Average retail revenue was also highest in the U.S. at $26.4 billion. What follows is a complete list of the U.S. retail companies that were ranked among the top 25 on the 2019 Global Powers of Retailing list. Use the links to find out more about the news, jobs, and retailing information for each of these retail companies. What is the Largest Retail Store in the World? Where is the World's Largest Convenience Store? What is the World's Largest Bookstore?